Hi my sweets! Good news! I'm feeling a bit better today. I'm still woozy and a bit nauseous - but I'm not stuck on the couch or in bed so that's a plus. A reader sent me a worried email that I might be overdoing it after the iron infusion and that's why I'm sick and I promise you that's not the case - at the moment I'm so sick and so weak that I'm struggling to even walk around the block, so exercise is definitely not happening. Nevertheless I wanted to share a yummy new recipe with you today. Whilst we were in Bali at Villa Sungai, we had a delicious appetizer each night which was super simple but crazy delicious. 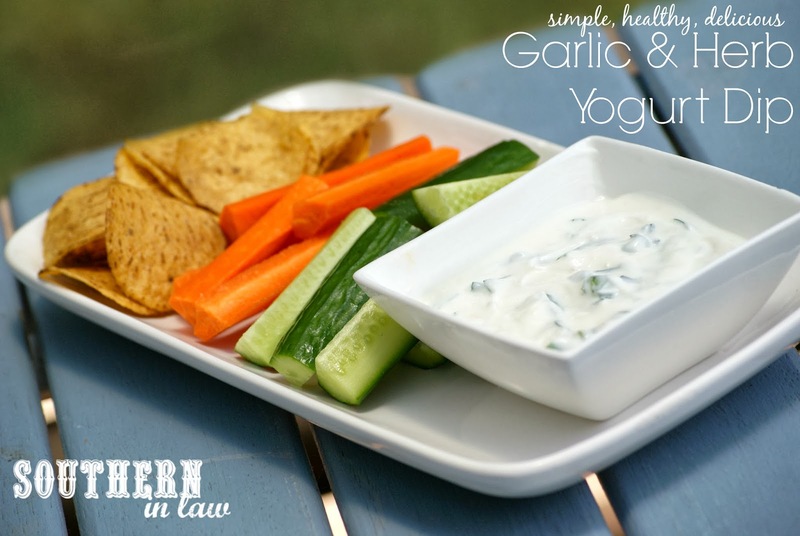 Fresh vegetable crudites with a fresh herb and yogurt dip. It was ridiculously good - and Jesse and I came home craving it, so we made our own version! 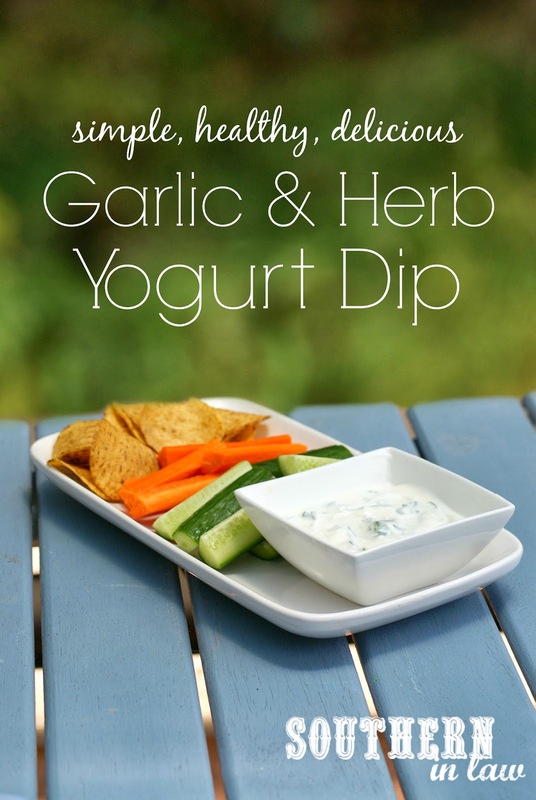 This dip is so easy and so so delicious. We joke that it's a skinny dip instead of a chunky dunk - but no one would ever know. 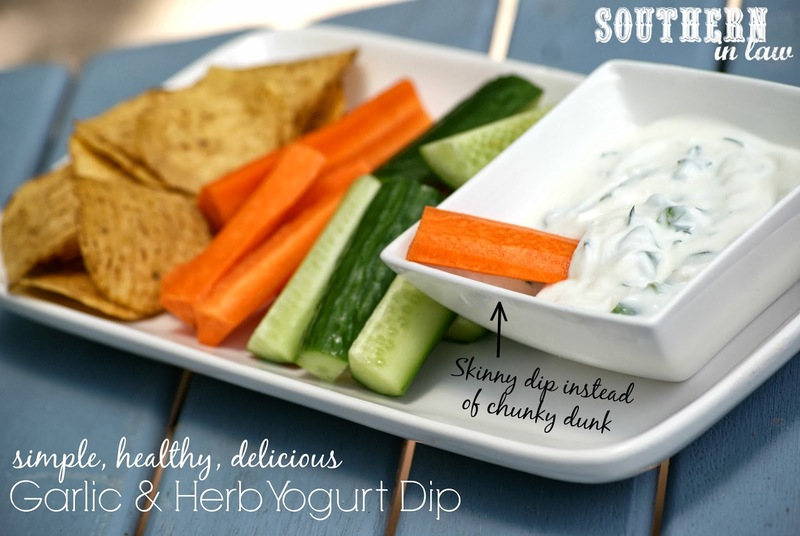 We've been into snack plates for lunch lately - and this dip is a key part of those plates. Fresh veggies, crunchy crackers or corn chips and you've got yourself a delicious light and summery lunch. We've also made this dip for a couple of parties we've had and it's been devoured in seconds. Use it as a dip, mix pasta through it for a cold pasta salad, use it to top roasted potatoes or sweet potatoes or do whatever you like with it! Mix together all of your ingredients and serve immediately or chill in the fridge before serving. Serve with fresh veggies, crackers, corn chips or use in pasta salads or as a baked potato topper - the choice is yours! When I was younger, there was one Italian restaurant that made the best spaghetti bolognaise and I spent years trying to recreate it once I learnt how to cook. Funnily enough, I perfected it and just 2 months later I found out I couldn't eat gluten or tomatoes. Cruel cruel world, but now Jesse reaps the benefits as he loves my spaghetti! I'm so glad that you're feeling better! Thank you, lovely! Luckily today I am feeling much better - at the moment the only thing troubling me is the headache which is a HUGE improvement! Onwards and upwards!! like I'll be doing these every Christmas.